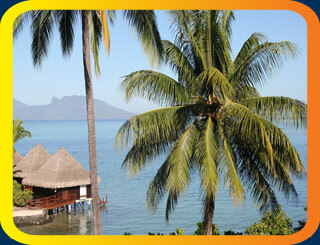 Join host Charlie David as he travels to the middle of the South Pacific for a stay on the island of Bora Bora. Charlie gets a tour around the infamous reefs and takes a dive with sharks and sting rays. Then, Charlie spices things up by learning to make a local dish. All aboard the Paul Gaugin cruise ship! Charlie enjoys a few nights aboard the luxury cruise liner for a different view of the islands.